Tashkent Tashkent is the capital of Uzbekistan and lies in the eastern part of Uzbekistan, not far from Kazakhstan. It sits on a main highway running from Turkistan and Shymkent in Kazakhstan through Tashkent and Samarkand in Uzbekistan. The name “Tashkent” means ‘stone city,’ and it was first used as a name for the city by the Turks in the 11th century. Tashkent has always been a major city in Central Asia. It started as an oasis city and was a main link between East and West on the great Silk Road, becoming on of the richest cities in Central Asia. Tashkent was especially favored because of it central location in what is now Uzbekistan and because of its mild dry climate, which also makes it a favorite for travelers today. It is easy to see why Tashkent has been called the ‘Star of the Orient.’ TashkentTravelers to Tashkent marvel at monuments dating back to the 16th century, when Tashkent was under Arab rule. These include the Kukeldash and Barak-Khan Madrassahs (Islamic schools) as well as the Khaffal Shashi, Yunus-Khan, and Kaldyrgach-Biya Mausoleums. All of these impressive complexes are preserved for the enjoyment of travelers to Uzbekistan today. 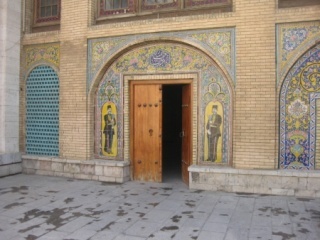 Tashkent is home to the Khast Imam Mosque, which contains what is thought to be the oldest existing Quran in the world. 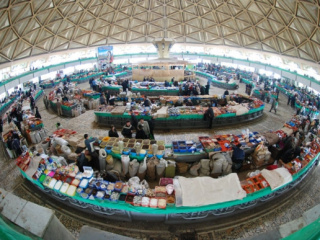 Tashkent also houses many more modern travel sights, such as the open-air Chorsu Bazaar, the Istiqlol Palace, the Palace of Prince Romanov who was banished to Uzbekistan for trouble with the Russian crown jewels, and the Exhibition Hall of the Union of Artists of Uzbekistan. TashkentAmong Tashkent’s multiple museums are the State Art Museum of Uzbekistan, with paintings, ceramics, and royal costumes and the Museum of Decorative and Applied Arts showing tapestries and jewelry. Travelers can also tour the Timur Museum, with a bright blue dome and highly decorated interior, the Navoi Literary Museum, and Tashkent’s largest museum, the History Museum. Tashkent today is a cosmopolitan city with a mix of architectural styles, many green areas of parks and fountains, and many cultural activities like theatres, museums, and more than a dozen schools and universities. Tashkent boasts the Alisher Navoi Opera and Ballet Theatre, decorated with designs from Bukhara, Khiva, Samarkand, and Tashkent itself. Tashkent Tashkent also offers the traveler international restaurants, nightclubs, and shopping to complement the fascinating cultural attractions and major hotels, international companies, and business centers. Even the city’s underground subway stations are attractively decorated with granite, marble, and paintings, as well as being the most complete subway system in Central Asia. Getting around Tashkent is easy with many different forms of public transportation; besides the subway, travelers can take buses, street cars, and trolleys, and the airport is the largest in Uzbekistan. In 2007, Tashkent was named the cultural capital of the Islam world.